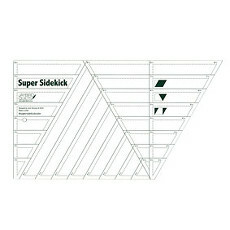 For use with the Super Sidekick Ruler. 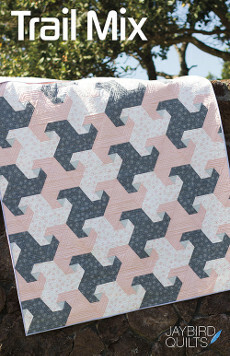 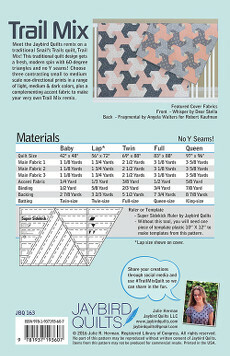 This traditional quilt design gets a fresh modern spin with 60-degree triangles and no Y seams! 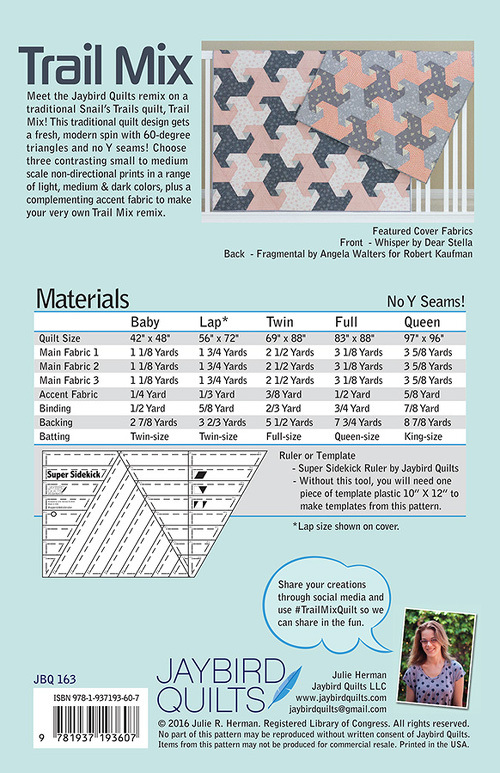 There are 5 size variations for this pattern from Baby to Queen all of which are detailed on the back cover of the pattern (please click on image to see a copy of the back cover and full details of the size variations).